What are the nursery opening times? How we accept payments and when. Payment is made in advance by either BACs , cheque or cash. Unfortunately we do not have facilities to pay by card. You can pay by childcare vouchers, we are registered with most voucher companies however if your employer uses a different company we can register with them. 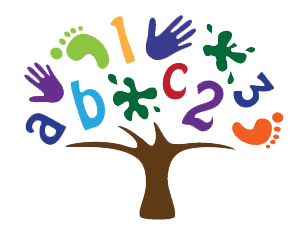 Does the nursery deliver the 2 year old Free Early Learning? Yes we do deliver the Free Early Learning . You do need to be registered with the local council and have a copy of the letter or email that accepts your claim and issues you with your F.E.L registration number. What are the staff to child ratios? 2-3 years 1 adult to 4 children. The majority of staff are qualified to Level 3 in ChildCare. They also have Paediatric First Aid, Safe Guarding/ Child Protection and Food Hygiene qualifications all of which are updated regularly, the only exceptions being the students who are working towards qualifications and are very closely mentored by qualified staff. Is my child's progress monitored? We work to a KeyWorker system which means that your child will be allocated a member of staff who will support them during their time with us. They will be responsible for your child's recording in their Early Years Foundation Stage Learning Journey which monitors your child's progress. All of the staff build a relationship with the children and families and will contribute to their profile. Do we have policies and procedures? Yes our Policies and Procedures are run alongside Sheffield City Council's strict guidelines and cover every aspect of delivering childcare including Staffing, Health and Safety, Child Protection etc.